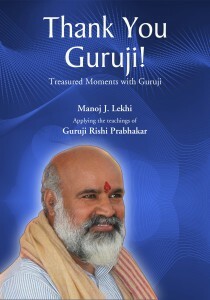 Manoj Lekhi is a key disciple of Guruji Rishi Prabhakar, a truth-seeker at heart and a friend, philosopher and guide to thousands. He specialises in the ‘inside-out’ approach to life which is all about changing oneself within and experiencing abundance in and out. His expertise lies in the area of child development, education, consciousness, management and leadership skills. 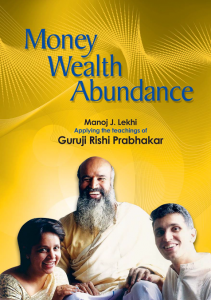 He is an active educationist and the founder of the Rishi Gurukulam at Katarkhadak Hills, Pune. He is the co-founder and ex-director of MET’s Rishikul Vidyalaya at Bandra, Mumbai. Under the able guidance of his master, he has to his credit the development of programmes such as Infant SSY Programme (ISP), Business Insights (Bi), Vision, Organising & Time management (V-OTM). He is the chief administrator of Rishi Samskriti Vidya Kendra (RSVK) as founded by his late master. As anyone who knows him would testify, in spite of all the achievements, awards and accolades, he relates to one and all with lots of love & his customary hug. "Vibrate in high energy by mixing with people of the same energy "